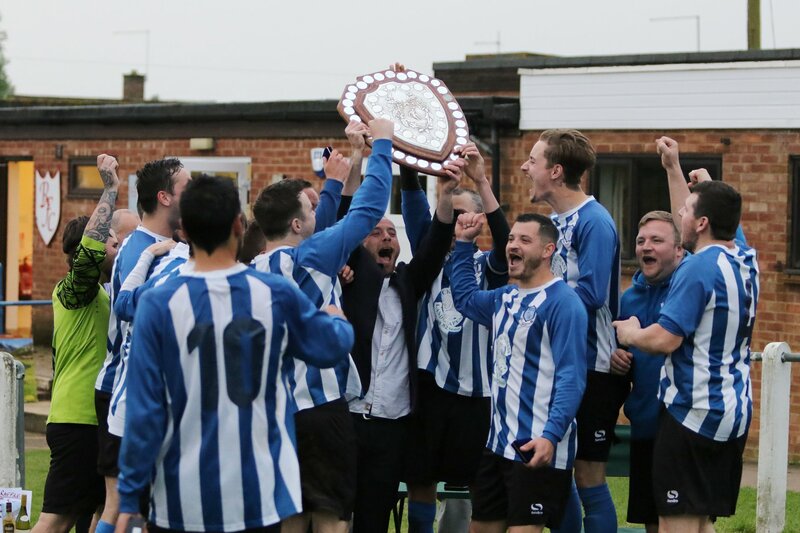 Buckingham United Firsts took on Towcester Town away in the Interdivisional Trophy and, playing a team placed two divisions above, it was a tough first round draw for Buckingham, but a match that could be won. Buckingham started the match the better team and were able to move the ball around on a poor pitch that was already starting to cut up after 5 minutes of play. Danny Charlesworth led the early charge, winning some important battles in the middle and coming away with the ball bringing the forwards into play. This resulted in Buckingham having the first chance of the match. Mitchell Young hit the target after a well worked move, finding a yard of space and registered the first shot on target. Matt Carr found space on several occasions and, testing the right back, he delivered balls into the box that just missed their targets. Towcester started to get into the match after 20 minutes, a through ball found their striker and he found the corner to put the home side ahead. A late corner for Towcester was swung in back post and their striker headed in from 5 yards to make it 2-0. The half time whistle went on a disappointing scoreline for Buckingham who had dominated for most of the half. Buckingham again looked the better team as the second half began and the pressure they piled on the Towcester defence lead to a breakthrough. Kemzi picked up the ball on the left wing and, while under pressure himself, whipped in a cross that lobbed the keeper and found the corner of the net for a slightly lucky, but fully deserved, goal. Buckingham United were back in the match and continued to push forward. Jimmy Richardson and Ashley Urquhart came off the bench and made an instant impact. Ashley picked up the ball in the middle of the park and threaded a through ball to Jimmy on the wing. Jimmy whipped in a cross to find Mitchell Young at the back post and he first time expertly finished to the bottom corner. Level in the match, Buckingham were on a roll and playing some great football, they showed they can perform and compete against a Premier team. The match became very competitive with some big tackles going in. Jack White, a rock in the middle, blocked a long ball attempt that looped into the box with Lewis Parkin underneath it, timing the header perfectly he headed low, hit the post and it went in. Buckingham were 3-2 up, continued to look the better team but didn't sit back. Matt Carr and Mitchell Young linked up to put Mitchell on goal. He fired low making the keeper push the ball across the box. Jimmy Richardson met the loose ball but hit the crossbar and a follow up attempt from Lewis Parkin was blocked for a corner. The match began to turn and Towcester picked up their game. A well worked move created space for the Towcester winger who delivered a ball to the back post and found the striker who headed it home. The match was level with 10 minutes left and Towcester continued to apply pressure on the Firsts. A corner was swung in missing several defenders, bounced and hit the Buckingham defender's hand whose arms were down by his side. In spite of this the referee blew for a penalty for deliberate handball in a truly terrible decision that, at such an important part of the match, gifted Towcester a goal and put them ahead. Behind again Buckingham had no choice but to push for a goal against a quality team. Towcester waited for their opportunity and hit Buckingham on the break and finished off the counter attack to win the match 5-3. This was a massive disappointment for the Buckingham United team who had dominated for long periods of the match. Having played so well to come away from the match with nothing was hard to take. There were many positives to come from the match, and now out of the cup, Buckingham Firsts can look forward to concentrate on the league, and continue this form to move up the table.